A miracle landing deserves an epic-scale shooting. That's why director Clint Eastwood has chosen to film Warner Bros. Pictures' “Sully” – the airborne thriller based on true events -- almost entirely with new ALEXA IMAX® 65mm cameras. As a result, audiences will see the so-called `miracle on the Hudson' depicted in stunning clarity. And exclusively in IMAX® theatres, “Sully” will be presented in an expanded IMAX 1.9:1 aspect ratio and fill more of the IMAX screen – offering moviegoers 26% more of the image than standard cinemas for a truly immersive experience. 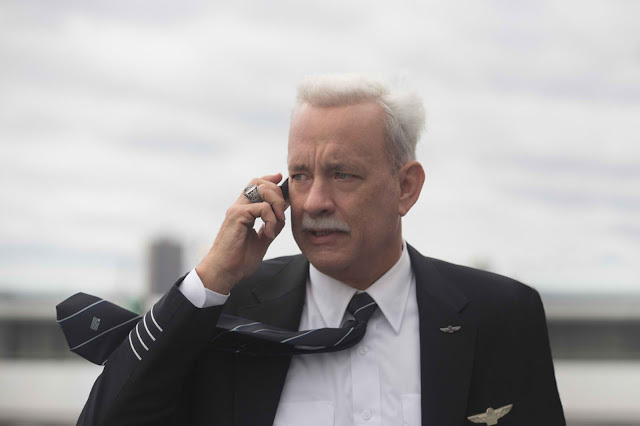 “Sully” stars Oscar winner Tom Hanks as Captain Chesley “Sully” Sullenberger. On January 15, 2009, the world witnessed the “Miracle on the Hudson” when Captain “Sully” Sullenberger glided his disabled plane onto the frigid waters of the Hudson River, saving the lives of all 155 aboard. However, even as Sully was being heralded by the public and the media for his unprecedented feat of aviation skill, an investigation was unfolding that threatened to destroy his reputation and his career. “Sully” also stars Aaron Eckhart as Sully’s co-pilot, Jeff Skiles, and Oscar nominee Laura Linney as Sully’s wife, Lorraine Sullenberger. Eastwood is directing the film from a screenplay by Todd Komarnicki, based on the book Highest Duty by Sullenberger and Jeffrey Zaslow. The ALEXA IMAX 65mm camera that Eastwood used in filming “Sully” is a next-generation revolutionary 2D digital camera developed through a partnership between ARRI and IMAX for use by today's leading filmmakers working in the IMAX® format. The camera, when combined with IMAX’s digital re-mastering process, delivers the highest level of digital image capture and playback resulting in stunning lifelike images with pristine clarity, incredibly fine detail, vivid colors and a higher dynamic range for superior contrast. Most films today are presented in an aspect ratio called CinemaScope (2.40:1). When a film is presented in CinemaScope, it is cropped and uses only part of the image the movie camera captures. This is the reason most ordinary screens are very wide but not particularly high. With “Sully,” IMAX provided Eastwood with the ability to use an expanded aspect ratio for the film's IMAX presentation during production through filming with the extremely high-resolution IMAX® camera. Opening across the Philippines on Thursday, Sept. 08 in IMAX and regular cinemas,“Sully” is distributed worldwide by Warner Bros. Pictures, a Warner Bros. Entertainment Company.